In late 2002, Pi Recordings inquired into the possibility of recording the AEOC as a quartet once again withn Joseph Jarman back in the fold. With some quartet shows booked in Europe on the horizon, the moment seemed right to bring the remaining members back together. The band gathered in Madison, WI so that Roscoe’s percussion cage could be brought into the studio. The resulting sessions spanned some 8 days spread out between from late February to early April of 2003. All of the band members wrote pieces for The Meeting. From Joseph’s praises on Hail We Now Sing Joy to Roscoe’s acerbic sense of wit on Tech Ritter and the Megabytes to Malachi’s beautifully constructed It’s the Sign of the Times the album shows a matured and developed group positioning themselves to move forward. With age and experience each member is writing at a new level and pursuing new musical goals. Gone are the cover renditions of pop songs. In their place are seven pieces that touch on tranquility and praise, controlled spontaneous composition, and organic grace. The Meeting is a new place for the Art Ensemble. Slowed by the death of a founder and friend, the remaining members have come together to record one of their most personal albums ever, and as Roscoe frequently says, “The music is at such a high place now, people should hear it. 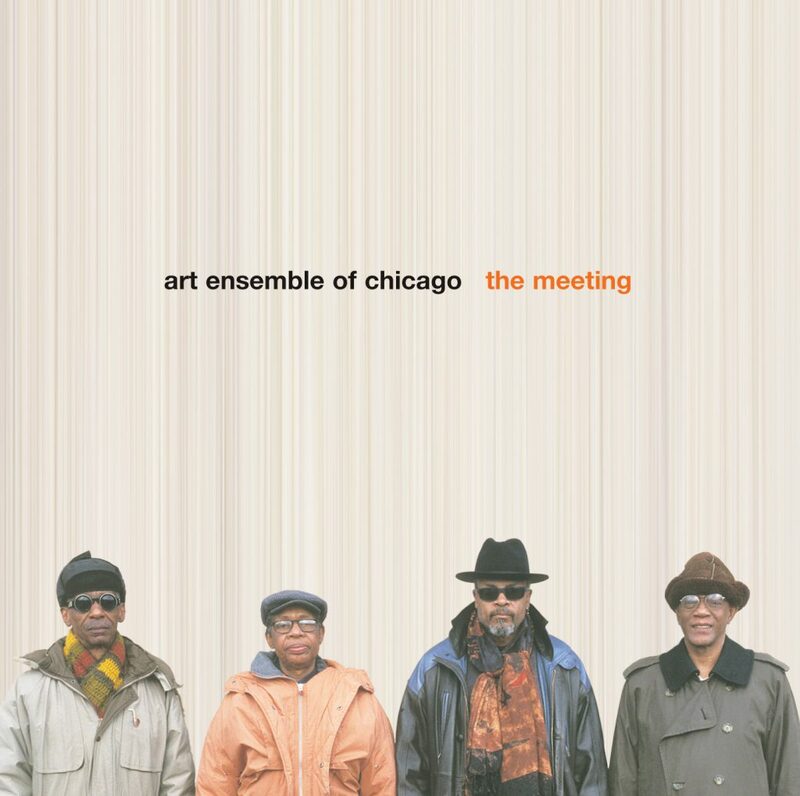 People are writing at a higher level than they ever have before.” The Art Ensemble of Chicago has responded to this statement and validated it, having recorded one of their best albums yet.